Cozycloud your free personal cloud server. 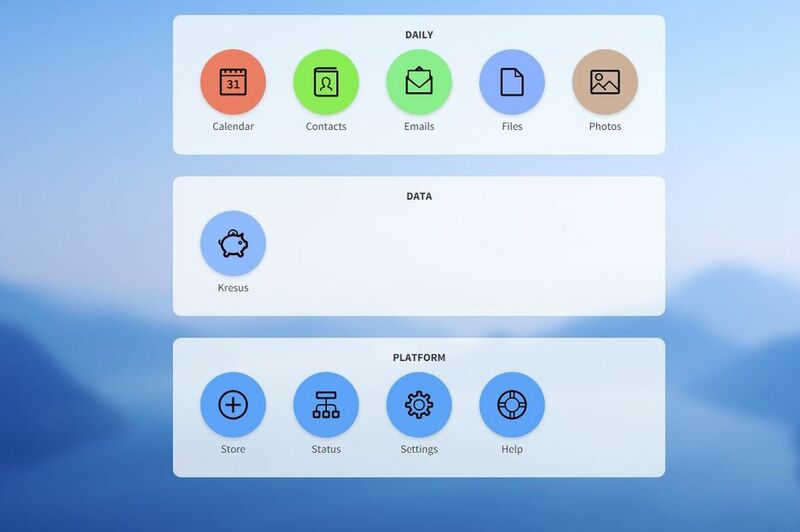 Unlike other personal cloud , Cozy focuses on applications and collaboration applications around your personal data. Cozy is a solution of PaaS (Platform as a Service) staff that allows you to deploy personal web applications in one click . This is rich web applications. You can choose from existing Cozy applications (Notes, Todos, Calendar, Contacts, Photos … ) , adapting an existing Node.js application or start your own web application “ from-scratch “ (documentation and tutorials available). A feature of Cozy is the centralization of storage for different applications in a common database with typed data and control of access by data type. In this way the different applications work with the same source data (contacts, mails, notes … ). Cozycloud is currently focused on Node.js but support for Python and Ruby applications is expected. More cozy developed in France by French developers. By default, the stack deploys on an instance of type “Small” (s1.cw.small-1). A variety of other instance types exist to suit your various needs, allowing you to pay only for the services you need. Instances are charged by the minute and capped at their monthly price (you can find more details on the Pricing page on the Cloudwatt website). CozyCloud stacks follow in the footsteps of our previous volume-using stacks, making good use of Cinder Volume Storage to ensure the protection of your data and allowing you to pay only for the space you use. Volume size is fully adjustable, and the Cozycloud stack can support tens to tens of hundreds of gigabytes worth of project space. bundle-trusty-cozycloud.heat.yml: HEAT orchestration template. It will be use to deploy the necessary infrastructure. With the bundle-trusty-cozycloud.heat.yml file, you will find at the top a section named parameters. The sole mandatory parameter to adjust is the one called keypair_name. Its default value must contain a valid keypair with regards to your Cloudwatt user account. This is within this same file that you can adjust the instance size by playing with the flavor parameter. If you’ve reached this point, you’re already done! Go enjoy Duplicity! … Good! Go to the Apps page on the Cloudwatt website, choose the apps, press DEPLOYER and follow the simple steps… 2 minutes later, a green button appears… ACCEDER: you have your cozycloud server! You are now in possession of your own cloud server , you can enter via the URL ` https:// ip-floatingip.rev.cloudwatt.com by replacing the . your floating IP by - ( example: ip-10-11-12-13.rev.cloudwatt.com ). Your full URL will be present in the file /etc/ansible/cozy-vars.yml`. You can now download the android application and sync your data with your cozy, this one being hosted in France in a safe environment, you can completely trust on this product. On the desktop of your cozy you’ll find a button Store it will be your marketplace , you can install a mail server or a ghost for example. The list is completed by the day , more contributions via git repository are possible, the cozy community enlarged more and more . You now have an SSH access point on your virtual machine through the floating-IP and your private keypair (default user name cloud). You have access to the web interface en https via the address specified in this file /etc/ansible/cozy-vars.yml.